Summer is just around the corner and it sure feel nice to get ready for the upcoming summer heat. Everybody must’ve written their list of places to go for a vacation or staycation this summer. An amazing splash and dip in the beach water must have been the number 1 activity for many people out there. It is inevitable, in fact it was always fun to have that refreshing dip in the beach especially if you’re with your family or group of friends. However, we could actually have an astounding summer getaway far from the beach, a relaxing place filled with lush surroundings could be the best alternative, isn’t it? In that case, an enchanting escapade in the forest or go mountain climbing could be the best thing to do. On the other side, a simply retreat in together with your friends or family members in a humble eco-friendly resort will do to replenish your energy in the imminent summer heat. Talking about a verdantly mesmerizing surroundings and refreshing getaway, guess like I know a specific place for that. Whenever you decided to visit the humble Province of Capiz in Western Visayas region, a visit to Espacio Verde Resort is a must. It’s the best place to spend the night in the province with its fascinating facilities, friendly and accommodating staffs, scrumptious cuisines and eco-friendly atmosphere, one could truly feel nature-loving vacation. Espacio Verde Resort is not just your typical hotel-resort where you get to enjoy yourself on its pristine sceneries but in fact, it’s place to enjoy some summer activities. 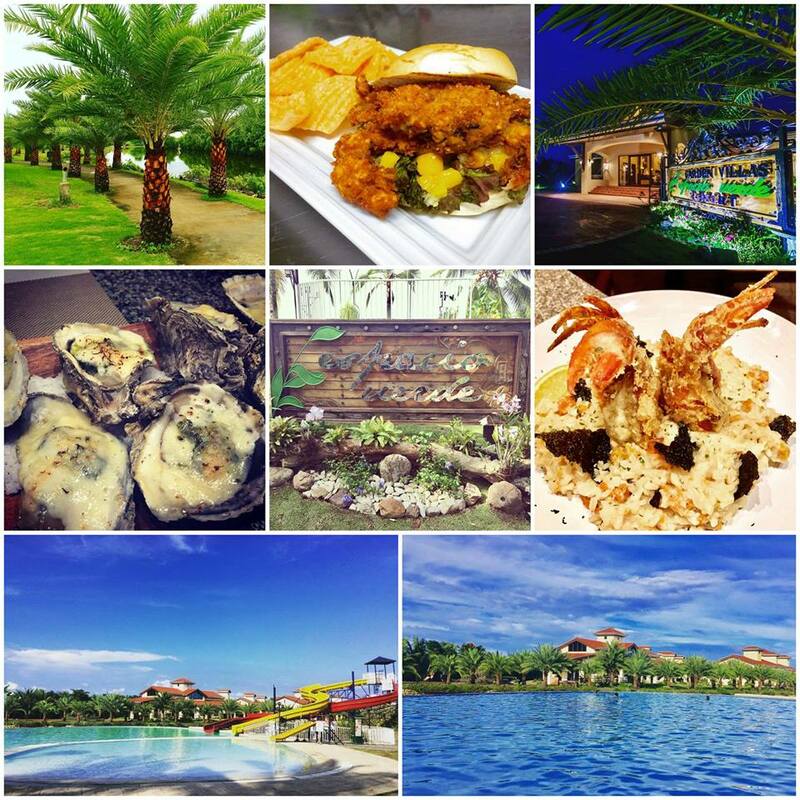 So, check out our list of 5 things to do while you’re at Espacio Verde Resort in Capiz this coming summer. The resort have one of the best swimming facilities in the province of Capiz. It has two big slides for you to enjoy while also having the choice to swim on the bigger or smaller pool where both kids, teens and adults can enjoy. One thing I promise you, the view from the pool is something worth remembering especially when you’re watching the sunrise and verdantly stunning dates tree in the Garden Villas at night. With its pristine lagoon which really looks refreshing and provide that dazzling relaxing atmosphere in the vicinity, no one will refuse to take an offer when they’ll get invited to go boating. The resort added the boating activity as part of their summer fun fest, you can enjoy a 20 minute long boating back and forth on its man-made lagoon for only 100.00 pesos, just add 50.00 pesos to enjoy rowing with a friend or your partner. The entire property is around 5 hectares, which means you’ll enjoy a long walk or stroll in the morning or afternoon while waiting for the magnificent sun to set. In addition, the lovely date palms in the promenade is a relaxing sight on your way. It is no doubt that Espacio Verde‘s best assets are its fascinating scenery, starting from its pristine lagoon which silently flowing providing that relaxing vibes. Then, the lush greenery of both tall trees and flowers that can be found throughout the resort. It gives off a nature-sanctuary atmosphere while listening to the chirping birds in the mangrove trees. The sunrise and sunsets in the resort is a must see as it beautifully painted the horizon with scarlet hue. What else should we do after a long walk along the promenade or watching the verdant surroundings than having a delicious seafood galore experience in our plate. Espacio Verde have 2 restaurant outlet to fill in our stomach whenever we get hungry or looking for some perfect foodgasm experience in Roxas City. Aside from seafoods, they also serve Filipino snacks on Aquatico, and Spanish-Mediterranean inspired cuisines in Abuelo. The latter is also a perfect safehaven for a cup of coffee in the morning and a delightful snacks in the afternoon with some friends. The fishing activity should be available soon in the property though there’s no specific date yet for its operation. For sure, it would be an amazing experience to go fishing with some colleagues this summer without actually going to the beach and get beaten by the summer heat. Photo credits to the respective owners: Espacio Verde Resort, Christia Vic Dangan, Jing Batan Jr.
← What Anime I Badly Want to Watch this Spring 2017?